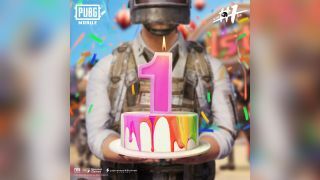 Tencent Games and PUBG Corporation are celebrating the first anniversary of PUBG Mobile with the launch of a new version of the popular battle royale title. In the past year, PUBG Mobile has grown to 30 million daily active players and has over 200 million downloads registered on Google Play Store and Apple App Store. The game is also the most popular title in India where the company also hosted two big tournaments -- Campus Championship with a prize pool of 50 lakhs following it up with the India Series 2019 which had a prize pool of 1 crore. The latest PUBG Mobile release is 212 MB in size and updates the game to version 0.11.5. It brings in a slew of improvements to the gameplay in addition to a new weapon, vehicle and Royal Pass subscription packs. Erangel and Miramar maps have been updated to support dynamic weather as well. With the new Season 6, features of the Royal Pass have been enhanced to include two subscription plans- Prime and Prime Plus. Players will be able to buy either of the plans starting from early April. The subscription plans will offer 80% discounts on crates along with free UC, Royal Pass points among other benefits. The new update also brings in a new weapon, the G36C, which is a carbine-type assault rifle that replaces SCAR-L in the Vikendi map. The G36C fires 5.56 rounds in Single or Auto mode and has hit damage of 43 points. With an extended magazine, the rifle can house 40 rounds in a single cache and has 4 attachments. Players will also find a new three-wheeled rickshaw, the Tukshai which has a capacity of 3 and replaces the Jeep, Dacia and Mini Bus in Sanhok map. Some general improvements have also been done to the game which improves the gameplay and make it more seamless. - Players can now view RP rankings of the entire region and your friends directly from the Royale Pass page. - Elite Pass Plus purchase now has additional rewards besides instantly gaining 25 ranks. - Weekly challenges now award more points. Point rewards can now be collected with just one tap. - Birthday parties on Spawn Island! Light fireworks and collect crates during matches. - Open the collected crates after the match to get anniversary rewards. - Find randomly spawned birthday cakes in matches for a surprise! - Dynamic weather added to Erangel and Miramar. - Added a new weapon: G36C rifle (Vikendi only). Fires 5.56mm rounds and can be equipped with stocks. Replaces SCAR-L in Vikendi. - Added a new Sanhok-exclusive vehicle: Tukshai, a three-wheeled bus. This will replace the Jeep, Dacia and Mini Bus. - Subscriptions will be available in early April. There are two plans: Prime and Prime Plus. Both plans come with free daily UC, Royale Pass points, daily 80% discount on Crates, purchasing from the shop with BP and more. Benefits from both plans are stackable. - When players don't win items above a certain quality many times in a row at the Shop, they will earn vouchers instead. Relevant titles and achievements relating to bad luck have also been added. - "Room Card: 1-Use" in Clan Shop has been adjusted to 1 purchase every 10 days. Added a robot avatar to the Clan system.